Arguably no single element of The CW’s Arrow has become more divisive than “Olicity.” The romance between Oliver Queen and Felicity Smoak was originally championed by an immense portion of the audience, but once they actually got together fans seemed to split down the middle as to whether or not they liked the romance direction. Felicity isn’t the only woman in Oliver’s life however; Oliver had a brief – if dispassionate – fling with Nyssa Al Ghul during Arrow’s third season, and actress Katrina Law apparently likes reminding fans of that at every opportunity. One of my favorite things was when Nyssa came back on the scene and she kept calling Oliver 'husband.' And I knew online there was going to be this outrage. I kept getting these tweets being like 'No, stay away from him!' 'No, Olicity forever!' and I'd just be like 'bwahahaha.' Oh, no! Did she just say 'husband' again?! So that was a lot of fun. I’ve generally tried to forget most of what happened on Arrow during its third season, so I actually forgot those incidents happened. 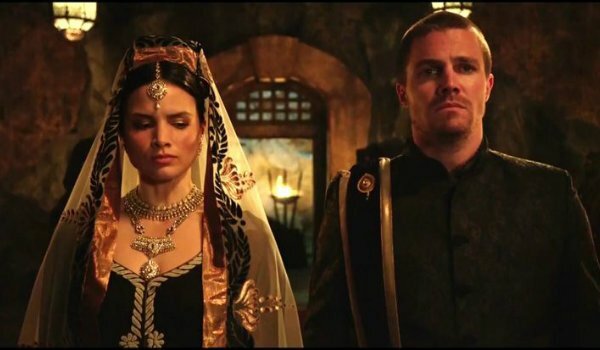 Nyssa Al Ghul and Oliver Queen did in fact get married towards the end of Season 3 when Oliver signed on to become a member of the League of Assassins. Nanda Parbat isn’t like Las Vegas, meaning that an annulment has probably been hard for them to come by, which in turn means that Oliver and Nyssa are still very much married in the eyes of such ancient tradition. 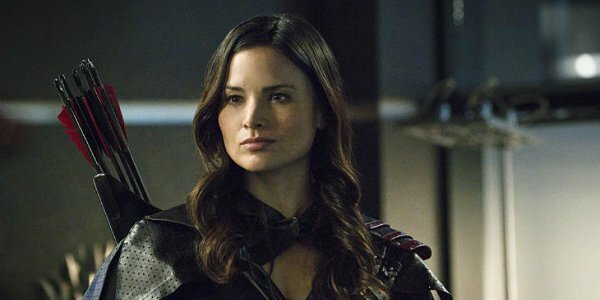 Twitter didn't take too kindly to Nyssa bringing it up on recent episodes of the series, and Katrina Law has enjoyed every second of it. When it comes to Olicity shippers, don’t even think about coming between Mr. Queen and Ms. Smoak. Oliver has encountered numerous women over the course of the show’s four seasons – many of whom arguably would’ve made a better love interest – but the fans have stuck by Olicity because her light sense of humor seems to make a perfect foil for his darker, more brooding sensibilities. It’s not as though Nyssa Al Ghul will be stealing Oliver away from Felicity anytime soon. The relationship between Oliver and Nyssa has most often been represented as one of begrudging respect, with no hint of any real sparks flying between them at any point. In fact, Nyssa’s romantic entanglement with Sara Lance has often felt like one of the most engaging subplots on the series, so we would like to see that explored further at some point, if possible. Crossover anyone? Fret not, Olicity fans; it doesn’t look like anyone will come between Oliver and Felicity anytime soon. Although the relationship has often weighed the series down, the Season 4 finale of Arrow only reaffirmed that the writers have every intention of pressing forward with this romance. That being said, we’re just glad Katrina Law was able to have a bit of fun with the overwhelming enthusiasm of the fans. We will keep you posted with all of the latest and greatest news pertaining to Arrow, The Flash, Legends of Tomorrow, and Supergirl as it becomes available to us.